Home / Fang Wan, MS, L.Ac. Wan graduated from the Beijing University of Traditional Chinese Medicine; after graduation, she continued to study at the China Academy of Chinese Medical Sciences, receiving her additional training in Internal Medicine of Traditional Chinese Medicine. 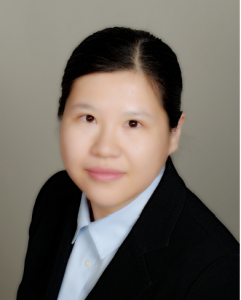 Wan has worked at Guang An Men Hospital affiliated with China Academy of Chinese Medical Sciences where she was an attending physician. Wan contributed to research projects which focused on the use of TCM as prevention and treatment of diabetes and its complications (such as peripheral neuropathy and gastrointestinal dysfunction). She is experienced with endocrine diseases, infertility, menstrual disorder, acute and chronic pain, sleep disorder, acute and chronic fever, cough, allergic rhinitis, gastrointestinal diseases and chronic hepatitis.